Mobil 1 ESP Formula 5W-30 is an advanced performance synthetic engine oil designed to help provide exceptional cleaning power, wear protection and overall performance. Mobil 1 ESP Formula 5W-30 has been expertly engineered to help prolong the life and maintain the efficiency of emission systems in both diesel and gasoline powered automobiles. 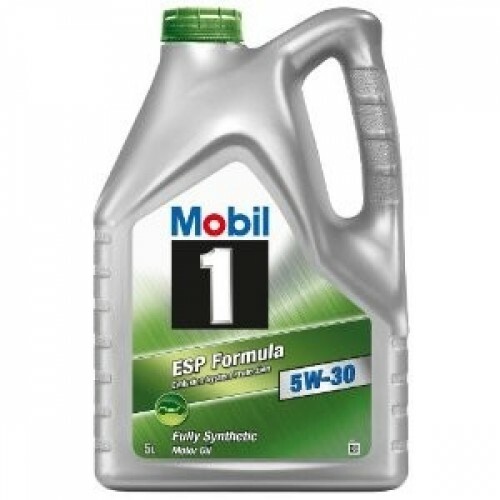 Mobil 1 ESP Formula 5W-30 meets or exceeds the requirements of many leading industry and car manufacturers' standards required for newer modern diesel and gasoline powered passenger car engines. #It is not recommended for 2-Cycle or aviation engines, unless specifically approved by the manufacturer.